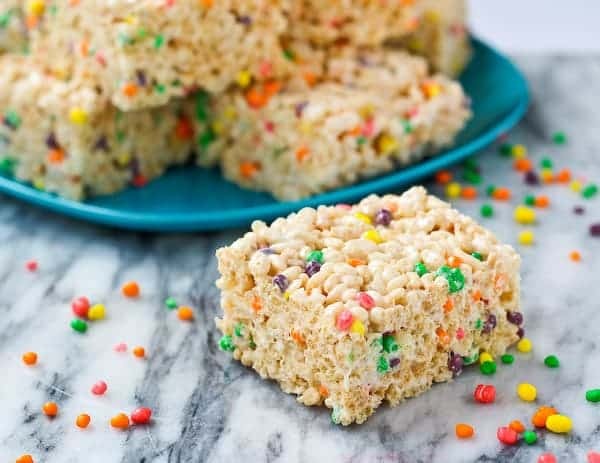 Nerds Rice Krispie Treats. Because everything is better with Nerds. 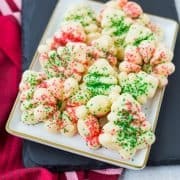 In the hustle and bustle of the holiday season, sometimes an event pops up where you might need to bring a sweet treat. But that doesn’t mean you necessarily would have time to bake one. That’s where no-bake treats come in! 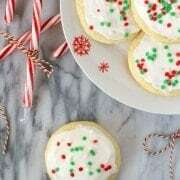 And this recipe might not be exactly Christmasy (in other words, it’s not peppermint) but it is very festive! It’d be pretty perfect for a rainbow birthday party too, now that I think about it. 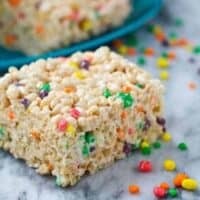 But given my love affair with Nerds, I’m pretty sure Nerds rice krispie treats would be perfect for any event and any season. And they couldn’t be easier to make. Just like a tradition Rice Krispie Treat, they start with butter and marshmallows. Mix ’em together over medium heat until they are melted. Then you coat the Nerds and Rice Krispies cereal with your marshmallow mixture. Press (gently!) into a prepared pan. DONE. That’s it! I wanted to draw attention to gently pressing the mixture into your prepared pan. This is important. Have you ever had a rice krispie treat that you can barely bite through? Tough, hard, and basically icky? That’s because whoever made them pressed them to death and smashed them into the pan. You want them to remain light and airy so that biting into them doesn’t make your mouth, teeth and gums hurt. In a very large and deep pan, mix together marshmallows and butter over medium heat. Stir frequently until marshmallows are melted and mixture is smooth. 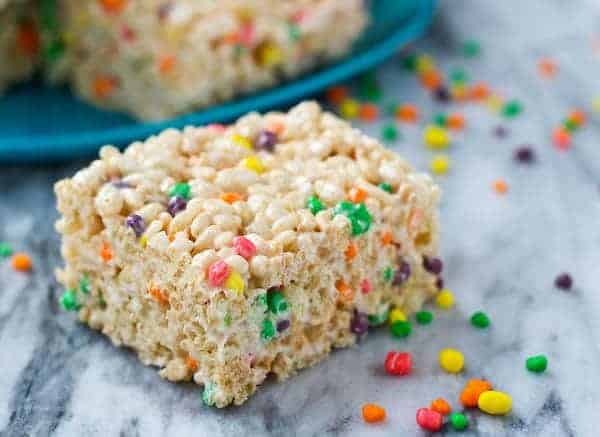 Remove from heat and stir in Rice Krispies cereal and Nerds candy until completely coated. Spread into prepared pan. Spray one hand with nonstick cooking spray and use that hand to gently press the mixture into an even layer. Do not press too hard. Let cool completely before cutting into bars and storing in an airtight container. Verdict: So good. The slightly tangy Nerds are perfect with the sweet marshmallows. Husband’s take: He ate more than a few of these. PS: I just found this on Amazon. Whhhhhaaaaaaat?!?!?!?!!? Need more Nerds in your life? Try Nerds Popcorn or a Nerds Milkshake! For the record, Nerds has no idea I’m creating these recipes nor do they know I’m obsessed with their candy. And they’re definitely not paying me. Love this idea! What a fun rice krispie treat! It always amazes me how popular Rice Krispie treats are at potlucks, etc. They’re often the first thing to go. A fun twist on a classic. WHHAAA??? 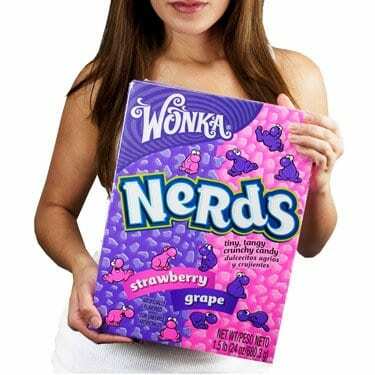 I’m buying those nerds for my sister. Best Christmas present EVER. This is one creative treat. I adore nerds; they make me feel like a kid again. Pinned. oh my gawd, my kids would love these!! 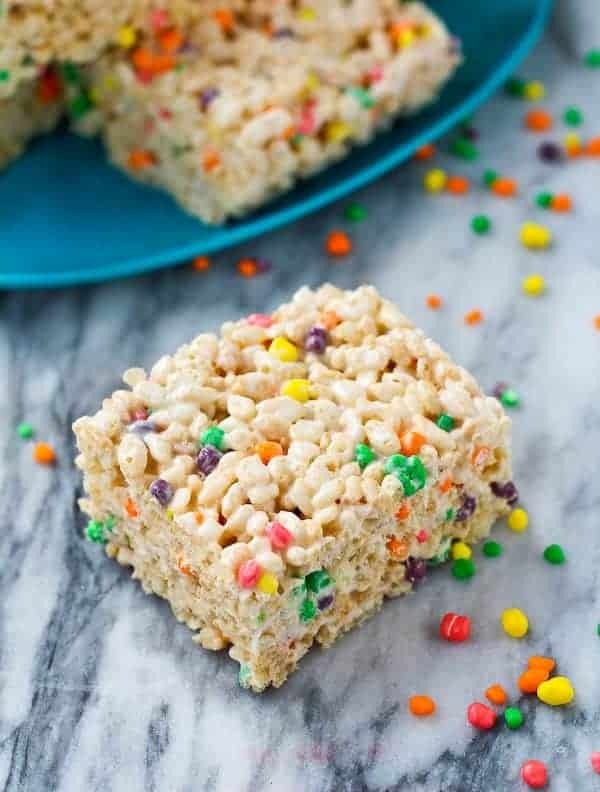 love Rice Krispie treats because you know they are always a crowd pleaser! I bought 4 boxes of Nerds to make a popcorn nerd mix and only used one package! What was I thinking!! But thanks to you now I can use up some more. And truly – pressing ‘gently’ – was new to me!! I had no idea. Thank you for this recipe along with all your others and your creative and helpful hints!! You’re awesome!!! Yes, this time of year no bake is a PLUS. It always amazes me. How lovingly popular rice krispie treats of all kinds are still looked forward to and asked for. 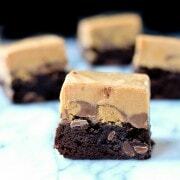 So that makes this no bake even better.